ClickFunnels Affiliate Program: 7 Tips To Earn Your Dream Car! 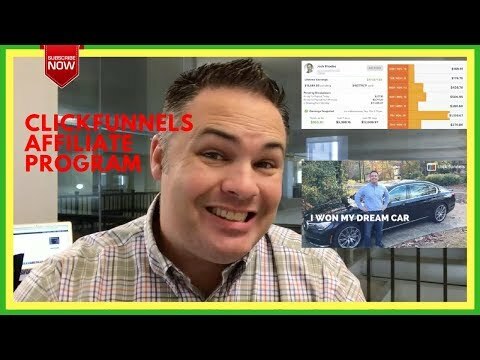 ClickFunnels Affiliate Program: 7 tips on earning a 6 figure income and winning your dream car to boot! In this video I discuss 7 tips and strategies that I learned from another fellow successful ClickFunnels affiliate marketer named Josh Roads. 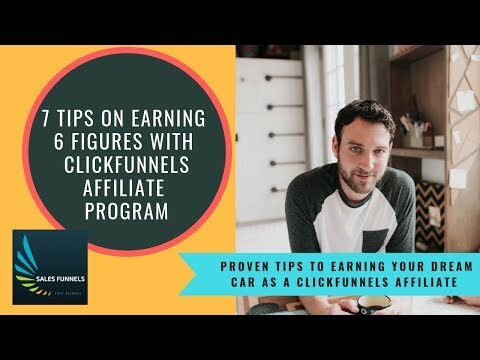 If you don’t know who Josh Roads is, he is the number 18 Dream car winner in the ClickFunnels affiliate program and has earned over 6 figures as a ClickFunnels affiliate. Tip number one starts out with building a product around the product. 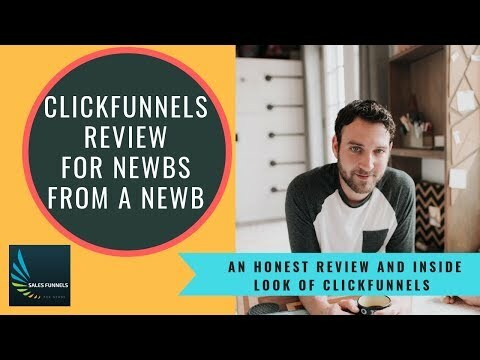 What this means is to build a business, brand, or even just products that will help better serve anyone new and looking to get into the ClickFunnels affiliate program. You can do this in a variety of ways, but essentially you want to help add even more value and services to the already amazing ClickFunnels software and affiliate program. You can do this by creating more training around it, helping out a particular business industry with building out their funnels, or even develop additional tools and resources that will help anyone that signs up through you link succeed. Tip number two is all about utilizing your free trial offers. We are all given this very unique way to introduce the ClickFunnels software and affiliate program with our links that offer the free two week trial. Put them to use! Find new and creative ways to get these free trial links into potential prospects. Tip number three talks about the share funnel capabilities we have and how advantageous they are for us when building our audience and helping out other fellow affiliates. The share funnel feature within ClickFunnels is a simple link that all of our funnels have that we can share with others. When people click the link and they are logged into their ClickFunnel account, the funnel will automatically downloads into their account free of charge and identical. The other really cool feature that share funnels offer us is when someone who doesn’t have a ClickFunnels account happens to click on the share funnel link, it will take them to a free trial sign up page and they will be sticky cookied to you. This is great because you can offer the share funnel to a prospect, and once they are convinced, and or curious to check it out, it will simply take them to the free trial link so they can sign up, and get access to that free funnel. Tip number four goes into the importance of lead generation. But not just any leads, targeted leads. So I discuss how to serve a certain market. You can do this a variety of ways, but ideally you find a niche or business segment you can help with ClickFunnels and then you can also get affiliate commission in the process. Tip number five talks about SEO and how cooked it is. If you are new and starting out, many people will advice to go for google ads and SEO type advertising. The problem with this is that you are going up against the big dogs with all sorts of money budgeted for marketing and all of the biggest key words have been taken. So more than likely you will spend bookoos of money and have very little luck. The advice with this tip is to seek out other forms of advertising and to wait until you have a very large spending budget before going crazy with the SEO ads. Tip number six is all about value stacks. Not only do you want to be building a brand and or a product around the ClickFunnels products, but you also want to be offering so much value that people can’t turn away from your offers. Value stack will help you stand out from the competition and offer great ways to not only on board your new sign ups, but also the right value stack will help them stay successful so that they stick around for the long run. Keep you value offers congruent, and plentiful! Tip number seven is about holding off on scaling until you have found your true method to success. Affiliate marketing is very cool for the fact that it is so scale able. And while it may be tempting to start scaling early, I advice you hold off until you get your methods down pat. Find some wins, but also consistency. Once you get your strategy, niche, products, and brand inline, then start to dial it up and scale everything out.